Today with the help of our charismatic rep Vera, we are taking you on a tour of one of the most luxurious hotels in Saint Petersburg - the Grand Hotel Europe. Situated in the heart of the most beautiful Russian city, on the Nevsky Prospekt and Mikhailovskaja Street intersection, the hotel is just a walking distance away from the renowned landmarks of St. Petersburg including Hermitage Museum, The Church of the Savior on Spilled Blood, Mikhailovsky Theatre, and Russian Theatre. Staying in the Grand Hotel Europe is truly a remarkable experience as the historic hotel dates back to 1875 - when it became the first 5-star hotel in Eastern Europe and has been visited and stayed in by many well-known names from Russia's royal family to world-famous celebrities from across the Atlantic. 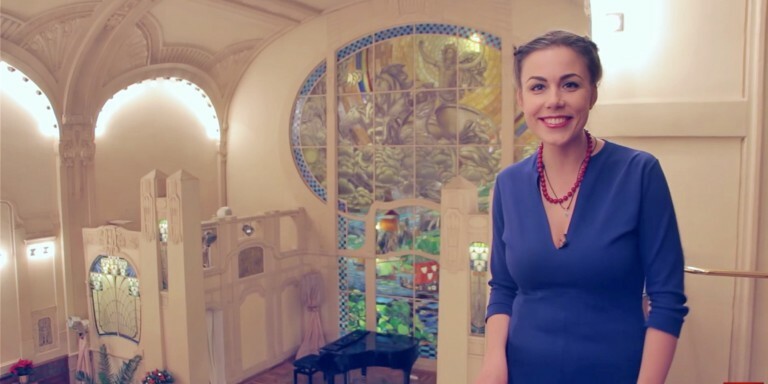 Let Vera show you around the Grand Hotel Europe and learn more about the hotel, see the luxurious rooms and famous suites you could be staying in, the historic restaurant where you could enjoy your royal Russian breakfast and the spa where you could be relaxing after a sightseeing day in St. Petersburg. Small group tour to St. Petersburg and Moscow "Treasures of Two Capitals"
Private tour to St. Petersburg (5* package) "Venice of the North"
5* Russian river cruise St. Petersburg - Moscow "Volga Dream"
5* Trans-Siberian tour Moscow - Vladivostok "Golden Eagle Journey"
Luxury small group tour "Platinum Russia"
The hotel is included in all of the Russia itineraries by Firebird by default. Are you ready for your trip?